The process of bailing a family member, close friend, or other loved one out of jail will be stressful. To reduce that stress as much as possible, you want to work with a trustworthy bail bond agent near Maryland or Virginia. Dominion Bail Bonds is a professional, established bail bond company providing a full range of bail services. Contact us for a free consultation with one of our licensed bail bond agents. During the consultation, the bail bondsman will walk you through the process of posting a surety bond, and discuss the best course of action you can take to secure your loved one’s release from jail. The bondsman can also visit the jail, post the bond, and take your loved one into his or her custody. Dominion Bail Bonds is a family owned and operated company, so we want to provide you with the best service possible. 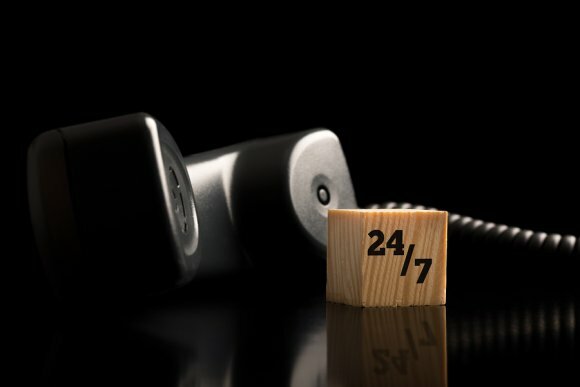 We have 24-hour emergency bail services available, so no matter what time of day or night you get the call for help from a loved one in jail, you can count on us. Call us at (301) 574-1111 if you are in need of a bail bond in Maryland. The police may arrest a person and hold him or her in jail merely on the suspicion that he or she has committed a crime. Fortunately, if someone you love is arrested, you can arrange to have that person released from jail until the court-appointed trial date. Depending on the bail amount, you may need the assistance of a bail bondsman near Maryland to complete this process. You likely received a phone call from your friend or family member in jail informing you of the arrest. If your loved one was allowed this phone call, this likely means that the police have gathered all the information they need to complete the booking process. When the alleged crime he is not very serious, bail may already be set. For more serious crimes, your loved one may have to remain in jail until a bail hearing in court, which is usually scheduled within 24 to 72 hours of the arrest, depending on jurisdiction. If a bail hearing is required, you should attend before you begin the bail process. If no hearing is required, you can begin the bail process immediately after receiving the phone call. Either way, you will need to contact a bail bond agent when you are ready. Using a special type of insurance known as “surety,” a bail bondsman can post a bond for very large amounts on your behalf, well into the tens or even hundreds of thousands of dollars. The surety bond companies require the bondsman to hold collateral in order to post the bond. When you receive a call from a loved one asking you to bail him or her out of jail, it is perfectly normal to feel panic and stress. Often, the amount set for bail may seem like an astronomical sum that you can’t possibly afford. But with the assistance of a licensed bonding company near Maryland, you can have your loved one out of jail very quickly. Bail bondsmen, or bail agents, are a businessmen backed by surety bond companies. For a fee that is only a fraction of the bail amount, they can post a bond for your loved one that will allow him or her to be released from jail until the set trial date. To learn more about how bail bonds work , watch this video. If someone close to you has been arrested and jailed, you must understand how bail bonds work in order to get him or her out of jail. The bail amount is often well beyond most people’s means to pay in cash. 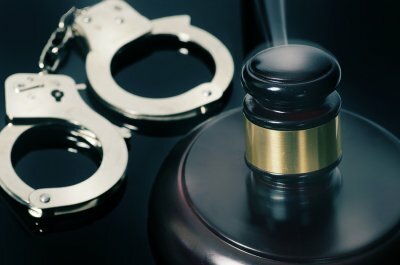 In order to make bail, you will need the help of a bail bond agent near Maryland . Read on to learn more about the bail process. When Can a Person Be Bailed Out of Jail? When the police arrest a person for a crime, they first take him or her to a police station for “booking.” At the station, the police will confiscate all personal belongings, take fingerprints and a mugshot, record information about the alleged crime, run a criminal background check on the suspect, and place him or her in a jail cell. Depending on the nature of the alleged crime, he or she may be able to post bail immediately, or may have to wait up to 48 hours for a bail hearing with a judge. Do You Have to Pay the Full Amount of Bail? You do not have to pay the full amount in order to bail a person out of jail if you contact a bail bond company. The company will provide you with a special type of surety bond, and you will have to put down collateral and pay a small percentage of the total bail amount as a fee. If the person who you bail out does not show up for their court date, the bondsman will be liable for the full bail amount and may hire a bounty hunter to find the person.